Okay, I am not French, but I aspire. Hmm…how to make creamy tomato soup sound more enticing? Simple, make the recipe sound foreign. LOL. But, in all seriousness, I am a child of the 80’s. I grew up on instant food. Originally it was mac-n-cheese and pot pies. My dad just cooked them as the box read, but my Mom at least added some nice things to make them more “adult.” Like chives in the mac-n-cheese. By the time I was in high school I was cooking “instant” foods for myself. I had this one crazy comfort meal that I used to make on the days I was home alone and ruled the place. I liked to have several different bowls or plates with something different on them, so I would make one scrambled egg, half a grilled cheese sandwich, one bowl of corned beef hash and a huge bowl of tomato soup. Not all that vegetarian, I know, but who knows any better at 15? I used to add extra bits to all of it, little rosemary here, little dijon there, but the only thing to add to the soup was a pinch of onion salt and garlic powder. Hey, when Campbells’s gets something right, why mess with perfection? Only problem is all the mystery junk-o-la that they put in their soups. Do they taste good? You bet they do, and Campbell’s mostly has MSG to thank for that. That’s something I never realized or even thought much about until I met a girl in college who was viciously allergic to MSG. One day she said she couldn’t eat any of Campbell’s soups and reminded me about her allergy. I was SO appalled. Do you mean to tell me that good old, hearty, homey, traditional, American, Campbell’s soup is made with MSG? Oh, for shame! Today I was inspired to try and recreate that youthful comfort food in my own kitchen. The inspiration was a glut of tomatoes from our garden, most of which had seen better days. You’ve got to get the skins off the tomatoes if you want to do it justice. 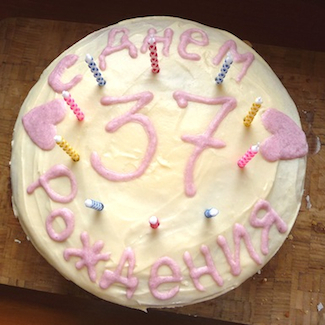 So this recipe has a bit of extra labour involved, but not to worry, it ain’t too difficult. Besides, creamy tomato soup, minus all the baddies, is totally worth it. Right? 1. Fill stock pot with water and bring to a boil. 2. Using the slotted spoon, gently place fresh tomatoes into the boiling water and boil for 2-4 minutes, removing each tomato when you see a split in it’s skin. 3. Place boiling tomatoes into the bowl of cold water to cool them. You may need to replace the water once or twice with cold water before the tomatoes are able to be handled. 4. 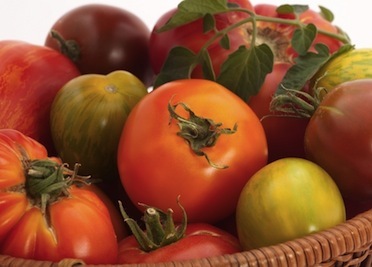 When tomatoes are cool, squeeze them individually with your hands to remove the skin, either squeeze or cut out the top, hard portion of each tomato (where the stem connects) and then place the rest of the tomato into your empty bowl. 5. Once all tomatoes have been hand-processed, place them into the pot you will be using to make your soup. 6. Roughly chop onions & garlic. Sauté until softened a bit and add them to the soup pot. 7. Add celery, basil, butter, milk, broth and spices to the soup pot. 8. Simmer for 30 minutes on medium heat. 9. Remove from heat and blend until smooth. 10. Dissolve flour in a small cup of luke warm water and then add to soup. 11. Stir and simmer on low for 10-15 more minutes. 12. Taste your soup and feel free to tweak the spices or flour content to get your preferred taste and consistency. 13. Serve with sandwiches, salad or crusty bread. Yum! LOL. I wanted to name these biscuits something cute and that is what I came up with. Don’t know why the taste of them reminded me of seafood. Probably because people alway seem to put onions or garlic, salt and butter together with seafood, so these biscuits taste to me the way that seafood smells. Weird, since they are vegetarian. My past experiences with yeast-free breads have not always been failures, but they’ve also not always been edible either. What to do? My only guess, more baking powder. I also had some savoury ingredients in the fridge and, a real rarity in our house, actual butter (organic of course). So I threw it all together and hoped for the best. Since I am very picky about the consistency of my finished bread products, I didn’t hold my breath that these would be anything other than rock solid and dry. But, a-ha, hey presto…they came out shockingly fabulous. Soft, flavourful and great when topped with butter, hummus or cheese! I’m so proud. 3. Mix wet ingredients. Leave shallots, chives (& cheese) separate. 4. Slowly add wet ingredients into dry, mixing thoroughly with hands or spoon. 5. Fold in shallots, chives (& cheese). 6. Oil a baking sheet, leave a little extra for your hands. 7. 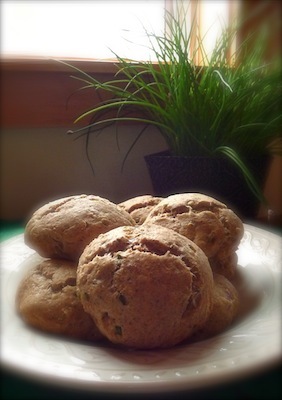 With oiled hands, make biscuits by forming thick, flattened balls of dough, roughly palm size. 8. Place on baking sheet, 2-3 inches apart. 9. Bake 12-18 minutes or until an inserted toothpick comes out cleanly. 11. Serve with butter, hummus, cheese or dip in soup. We used to live in Britain, Mama actually studied for her Masters degree there, and we just fell in love with the place. I can tell you that most of our food adventures there were homemade and centered around Indian food and using local wild plants. But, there were the occasional products that we enjoyed. One of these was Heinz baked beans. 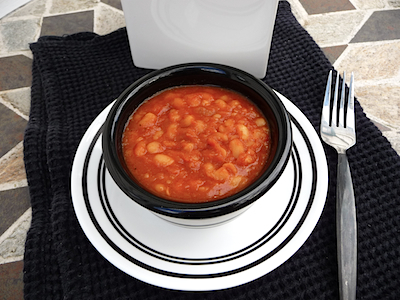 Though Mama grew up on Boston Baked Beans, she eventually took such a liking to these British beans that it was nearly an addiction. Fast forward to our current home in Canada and you get Heinz beans imported for $3.00 a can. Crazy! We spent 12 bucks a week on them for nearly a month before deciding that it was finally time to crack the code and make them ourselves. Mama set to work with her innate gift, the “magical recipe tastinator” and deciphered the code pretty well. :-) A few tweaks after tasting and here is the damn-near-perfect result for you. They cost very little, make quite a lot, last ages and fill you up for hours. We hope you enjoy them! 3. Put in pan, with baking soda, and cover with 2 inches of water. Bring to a boil. 4. Boil for 30 minutes. Rinse, drain and set aside. 5. Place two halves of onion and 4 whole garlic cloves in pan with oil and bouquet garni. 6. Fry for a few minutes, then add crushed tomatoes, vinegar, mustard and molasses. 7. Add beans and all remaining ingredients. 8. Return to a boil for 10 minutes. 9. Reduce heat and simmer for 2 hours. 10. Place is oven-safe baking dish. 12. Test and add salt and pepper as needed. *Alternatively, remove from stove and place in a crock pot on low for 4-6 hours. These can be served in myriad ways. I like them with scrambled eggs, veggie sausage and fried mushrooms. We also eat them over mashed potatoes. While in Guatemala earlier this year, Papa managed the near impossible (or so I thought.) This is to create a guacamole that Mama actually liked. You see, Mama had lived in Mexico over a decade ago, and grown up in an East Coast city with loads of Spanish people and Spanish food around, yet never once tasted a guacamole that she liked. Which made this Mama very sad, as I know how healthy avocados are and really, really wanted to like them. Try as I might, no likage occurred. It wasn’t the slimy greenness of the guacamole, that I surprisingly can handle. It was the flavour, or lack thereof. Until magnificent Papa got his hands on some nicely ripe avocados in Guatemala. A quick list from Mama of what is usually in Guacamole, plus a few hints and tips from online resources and ta-da! 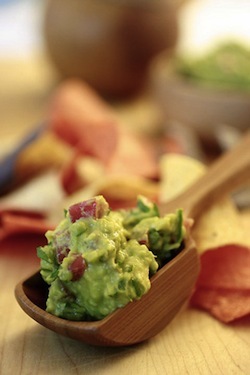 Papa’s Delectable Guacamole!!! And it truly is, too. I cannot stop eating it and I am now a happy lover of guacamole. So, thanks my dearest Papa! You rock! Saved the day once again, haven’t you? Without further adios, or whatever…..
1. Cut avocado in half, remove seed and scoop the meat into a bowl. 2. With a fork, mash the avocado and mix thoroughly, making a cream paste. 3. Dice the garlic very fine. Mix it into the bowl. 3. Add the two tablespoons of salsa (or more, if desired). 4. Mix all ingredients well. Salt & pepper to taste. 5. Serve with tortilla chips, rice and beans or burritos. So delicious! So scrumptious! So delectable! I bet that, once you start, you can’t stop eating it!